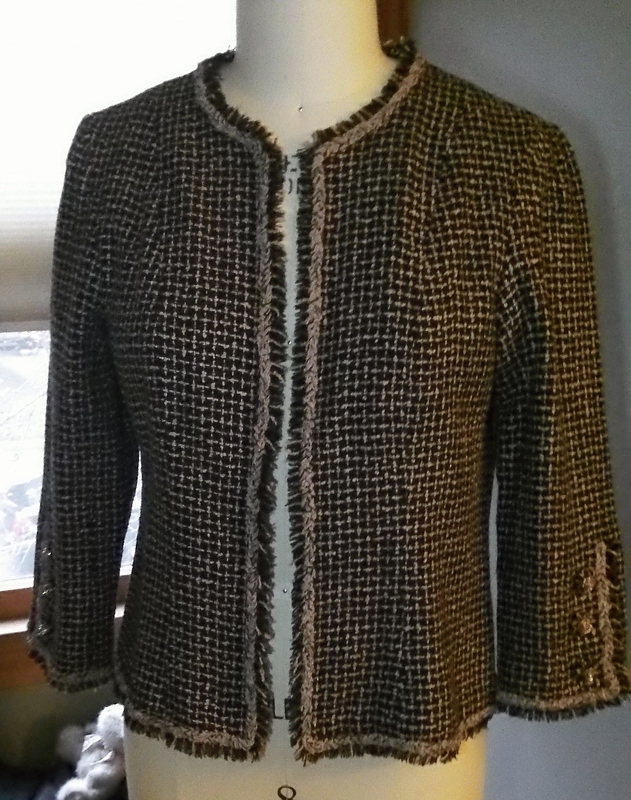 Having done the French Jacket class with Angela Wolf on Pattern Review to make my first cardigan style jacket, the LFJ sewalong was just what I needed to get motivated to make another. The LFJ organizers have attended classes with Susan Kaljie, and Susan may chime in as the sewalong progresses. 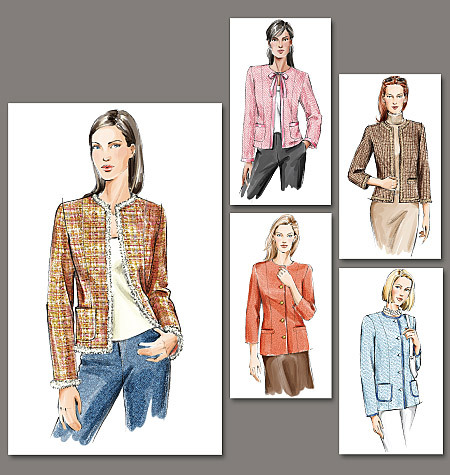 I recently purchased the Claire Schafer book and DVD, Couture Sewing: The Couture Cardigan Jacket, Sewing secrets from a Chanel Collector and her Vogue 8804 pattern. The book and DVD are great, with lots of detail, but I decided against using the pattern. The adjustment needed for the shoulders and upper bust were more than I wanted to undertake. I checked Pattern Review and most of the reviews mentioned it ran large, so I’m sticking with the pattern from my first jacket, Vogue 7975. I feel like I’m cheating some, but I still had the muslin and was happy with the fit, so I could jump right into laying out the pattern and getting all the thread tracing done. I used the shorter length and 3/4 sleeve before and plan to do so again. I found the boucle about a year ago at Textile Fabrics in Nashville and on a quick run to Haberman Fabrics fabric karma was with me, they had a rack of silk pieces on sale and I found a match for the lining. The trim and buttons will be the part I obsess over, with two Chanel boards going on Pinterest for inspiration. 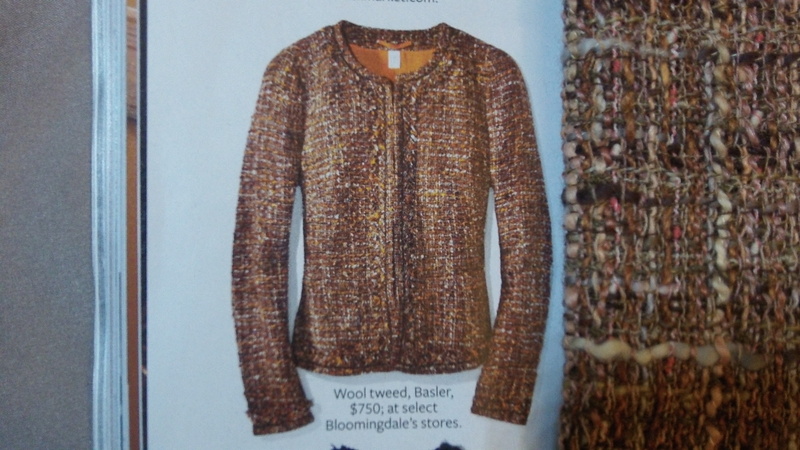 The latest issue of InStyle has a $750 jacket that looks like the same fabric as what I will be using. It’s a brand I’ve never heard of, but still nice to see. 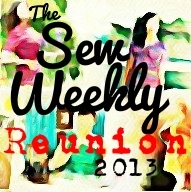 Next week we move on to quilting the lining and fashion fabric. What a coincidence! I like this fabric! You have so many possibilities when choosing the lining! Look at all the pretty colours and hues visible from fibres 🙂 Looking forward to seeing your jacket! I also did Angela Wolf’s PR course and still haven’t finished my jacket but hope to get completed soon. Love your fabric and your jacket inspiration. Your fabric is beautiful. What a great buy. I’m glad to hear your opinion of V8804. I have it and made that muslin, but it does feel roomy. I always have to do a FBA, but other than that it feels like I need to pull it in a bit still. Trying a couple Marfy patterns right now which fit much better, but thought about going to the V7975 and giving it a try. I will be forever on my muslin! Good luck with the muslin, it will be fun seeing what everyone does.